A Joyful Post! Meet Your New Partners! 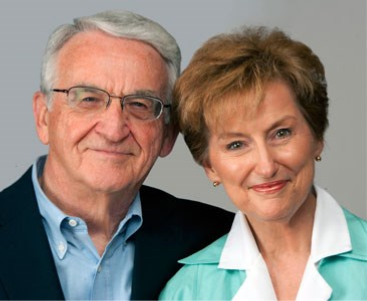 Jim and Kaye Johns have joined the group of unique ministries that serve Save the Mother, Save her Child trained pregnancy centers, by helping you complete your mission of sharing the gospel of Jesus Christ and saving babies lives! Join us in welcoming them to your partner network! Each partner is #1 in their category! Each is dedicated to helping to build a strong foundation for your centers. What a privilege we have in this month of July, 2014. We have been invited to become a working part of the great faith-based Pregnancy Center movement and to participate in the awesome life-saving work to which you are so dedicated. So prayer, being something that can be taught, is also something that must be learned. The understanding of prayer does not come automatically when we become Christians. We must be taught, and Jesus is our teacher. Building a personal life of prayer, and expanding that life to include effective praying for others, individually and in group settings, is a matter of desire to better know and serve God and His purposes in the world we live in. More about this as we begin to work together! How important is prayer in the work of a Pregnancy Center? How and where will we get the wisdom we need for this difficult task? What will enable us to stand up to the rigors of dealing every day with people deeply troubled by the realities of life? How can we be prepared, and then be effective? Time spent in prayer will yield amazing results. Oswald Chambers said,“Prayer does not fit us for the greater work; prayer is the greater work.” Prayer opens the door for God to do His work in us and through us. In prayer, we secure the presence and power of God to go with us. God alone can bring solutions for the complexities and difficulties we encounter in the Pregnancy Center ministry. First, check out our website, www.prayerpowerministries.com. You’ll find many tested and proven prayer helps for yourself and those under your care. Watch the videos and hear Kaye give explanations of the nature and uses of the various materials. On the home page, click on Free Downloads and see the variety of helpful materials available for you and your clients at no cost. Just download and print in whatever quantities prove helpful. 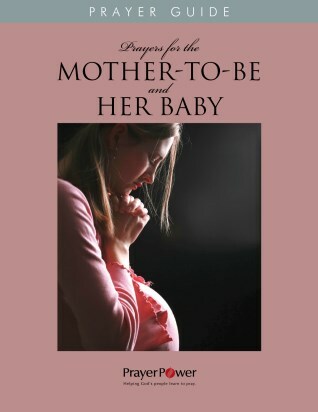 Most helpful, perhaps, is our special Prayer Guide, Prayers for the Mother-to-Be and Her Baby. First produced as a help for the Pregnancy Center at our home church, this Guide was widely distributed by Focus on the Family and is in demand at Pregnancy Centers accustomed to depending on it as a gift to their clients. On our website, click on the special page devoted to this Guide, and experience Kaye’s helpful video explanation. You’ll also find several sample pages from the Guide, to examine the content for yourself. We are thrilled to join SMSC to bring these resources more forcefully into the life-enhancing work of every Pregnancy Center. We look forward to the opportunities waiting for us, along with you – to provide help in prayer-training for staff and volunteers, as well as a growing list of Prayer Guides, Prayer Journals, and other materials designed to aid you in giving wise counsel to your clients and their families.